This picture was taken at my department office in July 2018 by my friend Jaysan. First digit is square of an odd prime. Second digit is square of an even prime. Next two digits is a number which is an integer raised to itself. The next four digits form a number which is the nth prime, where n is the 180th prime. Last two digits are 80. I came to Vallabh Vidyanagar first time on 4th July, 2004, when I took admission in V.P. & R.P.T.P Science College in S.Y.B.Sc. Mathematics. I completed my B.Sc. in Mathematics at V.P. Science College in 2006. I completed my M.Sc. Mathematics at Department of Mathematics, SPU. Thereafter I was pursuing M.Phil. in 2009 and I cleared NBHM Ph.D. written exam and joined as a research scholar at HRI, Allahabad. I completed my Ph.D. from HRI in 2015. I have one year postdoctoral experience at IMSc, Chennai from June 2015 to June 2016. 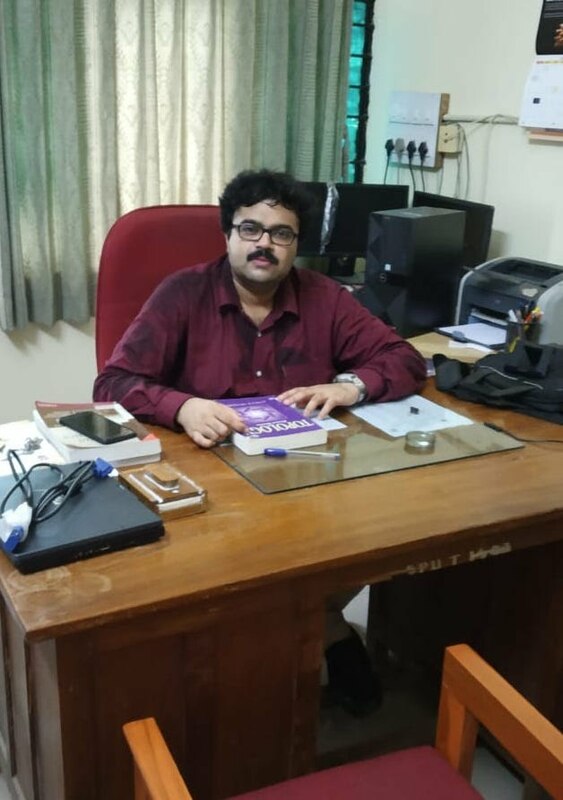 Now, I am again back at this beautiful and lively small town Vallabh Vidyanagar, serving as an assistant professor at the Department of Mathematics, Sardar Patel University. For my full CV click here. Multi zeta functions, analytic number theory, modular forms, Classical Cryptography, key exchange protocols, digital signatures, Elliptic curve cryptography. Outside of Mathematics, my interests are: Computers (general and programming, tex-ing), listening music, especially instrumentals and playing piano/keyboard. I learned playing keyboard by myself and a bit from youtube during my PhD and have absolutely no formal knowledge in playing piano. I play piano by ear. In my leisure, I play Hindi (bollywood) songs on keyboard and sometimes upload the videos of me playing on my youtube channel.